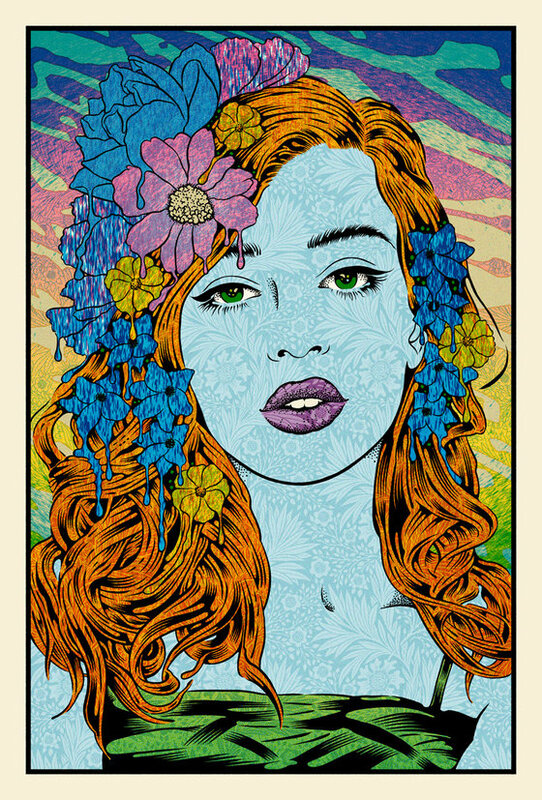 San Fran-area poster guru Chuck Sperry is my favorite designer artist and silkscreener. A prolific and influential creator for decades now, the man is a legend. Sperry's been making sophisticated pieces of beauty, like this week's drop, for decades now. In the eyes of a great many Sperry collectors, his art print "lady series" are the most desirable pieces. This is a home show for Sperry - so he's bringing out the big guns: Oracle, released this weekend at DesignerCon 2018 in Anheim, CA, is sure to disappear fast! On this one: a huge tip of the hat to Chuck on the melting flowers in Oracle's hair.. Gorgeous! If you can't get to Cali, keep your fingers crossed for an online drop on what remains, maybe on Black Friday.